Omega World Travel last month uploaded into the Apple iTunes and Google Play app stores its first mobile app and began onboarding corporate customers. Omega Go connects to clients’ third-party booking tools and provides agent interaction via text, chat and email. Built with the help of travel app specialist mTrip, it also integrates with Lyft and Uber. The travel management company previously encouraged clients to use mobile apps for the third-party systems it resells, Sabre’s TripCase and Concur’s TripIt. 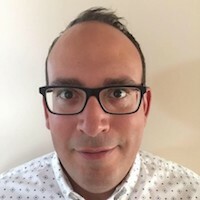 According to Nadim Hajje, Omega vice president of information technology and data analytics, now it’s pushing all clients to Omega Go, which provides access to Sabre’s GetThere, Concur Travel and Amadeus Cytric. Hajje said a next step was developing the TMC’s own booking capability for the app. Omega Go also has itinerary sharing, flight info and alerts furnished by FlightStats, and mobile check-in. Users needing a ride at their destination can punch out to the Lyft or Uber app, which would already have their pick-up location and intended end point (their hotel, for example). Users can opt for GPS-based tracking so travel managers and risk departments can interact during emergencies. Omega Go offers destination info, including bookings for tours and entertainment. Augmented reality capabilities are coming; those would recognize landmarks and call up related info. Meanwhile, Omega on Thursday received approval from Amazon for the next set of its Alexa capabilities. Omega previously made live a traveler locator function. With the new Alexa skill, travel managers can ask about their activity on top suppliers and in top markets, as well as average prices paid, savings derived from using contracted pricing, lost savings and so on. They also can get their company’s online booking adoption figures and track Omega’s performance on service-level agreements. Based on data from the Omegalytics reporting system, replies would come through both voice and visuals. In conjunction with the Amazon Echo device, the Alexa mobile app shows “cards” with information related to a user’s questions. While Alexa speaks out the basics, it’s on those cards where more detailed info would display. For example, if a user asks Alexa for the company’s top carriers based on spending levels, a voice response would provide the leading airline while the card presents the whole list. Cards also would show breakdowns of spending by expense type. Users also can speak questions directly into the Alexa mobile app and see the answers. Despite the visual capability, Hajje said voice-activated queries were not ideal for users seeking granular data. “We want to make sure variables are clear and pristine and get you the desired result, otherwise there can be great frustration,” he said. “Alexa is not going to replace Omegalytics but complement it. • Still Looking For The All-In-One Business Travel App? What’s That? ← With Ground Transport Technology In Flux, Where Is A Travel Manager To Begin?